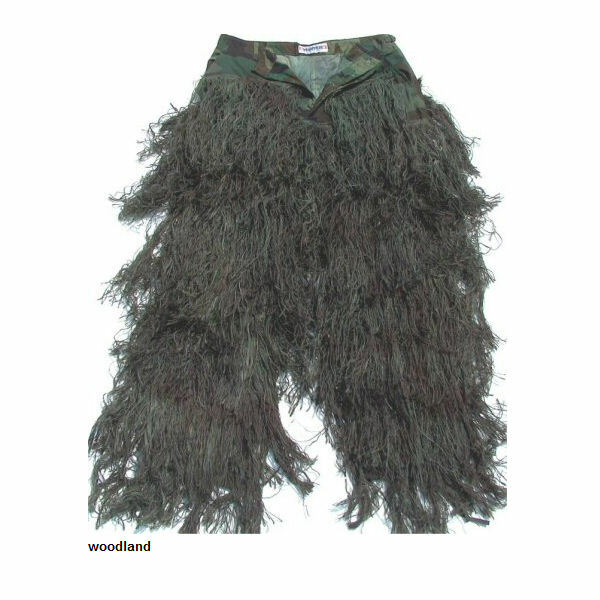 The BDU Jacket and Pants Ghillie Suit Set is made in the USA and can take 5-10 days to build and ship. This heavy duty suit is built on BDU (Battle Dress Uniform) Jacket and Pants and is built tough enough to last through a military training course. This Suit uses the original Jute thread which makes the suit almost twice as heavy as our Ultra-Light version. 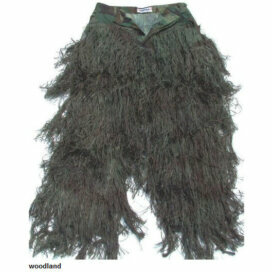 The Base Layer is a Military BDU which comes in 6 different pattern choices. These are made by Atlanco. 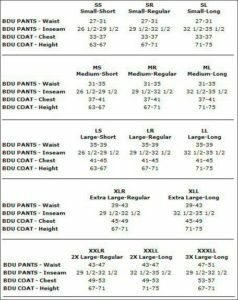 The BDU Jacket and Pants is pre-treated with Class “A” chemical fire retardant and if you do wash to the suit the fire retardant must be reapplied. 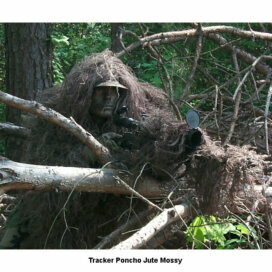 Our high quality Jute Thread is tied directly on to 1″ by 1″ netting which is fastened to a Military BDU coat. These are made by “ATLANCO”. 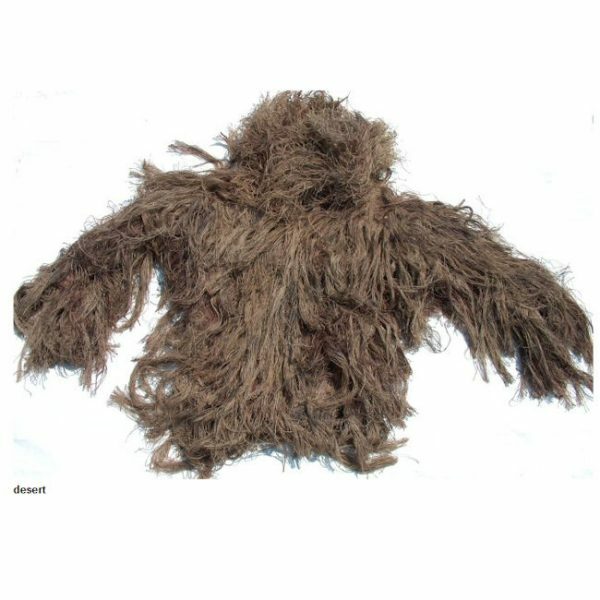 The Jute Ghillie thread covers the entire jacket in the front and the back, and has an attached hood. The weight of the Jacket is 6 lbs. 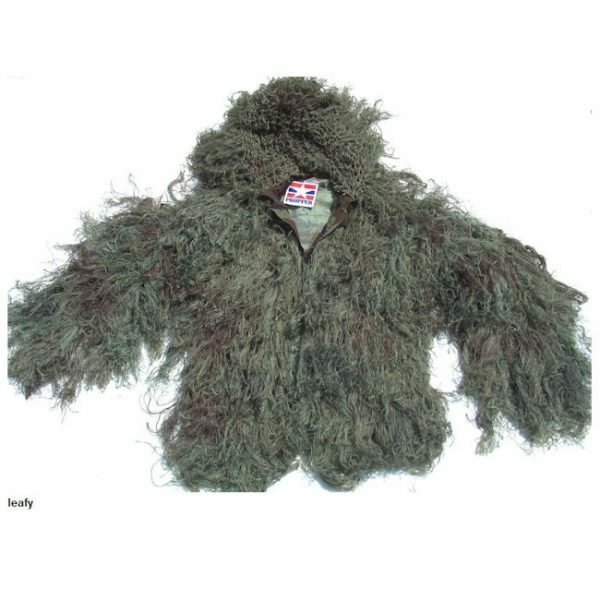 The Hood is constructed of 1″ by 1″ netting which is sewn to the BDU Jacket. 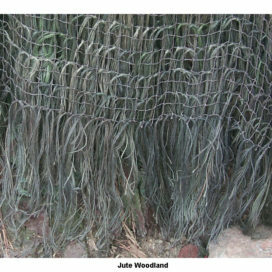 Then we hand tie our Jute thread to the netting. This design keeps you cooler by allowing the wind to pass through and also allows for better hearing. 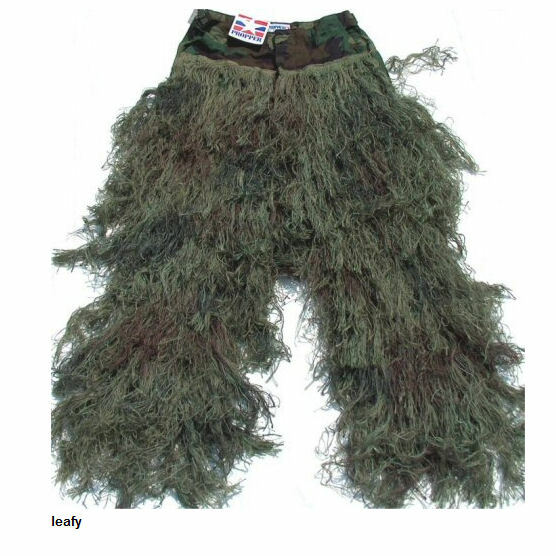 Our high quality Jute Thread is tied directly on to 1″ by 1″ netting which is fastened onto Military BDU pants. These are made by “ATLANCO”. 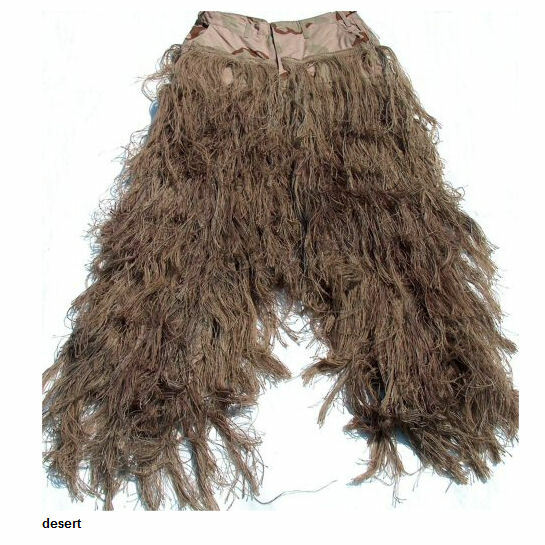 The front pockets on the Pants will still be accessible because we attach the Jute just below these pockets. 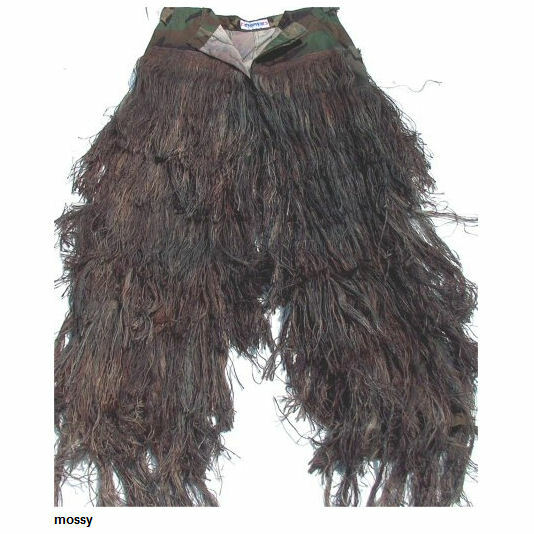 The weight of the BDU Pants is 3.5 lbs. 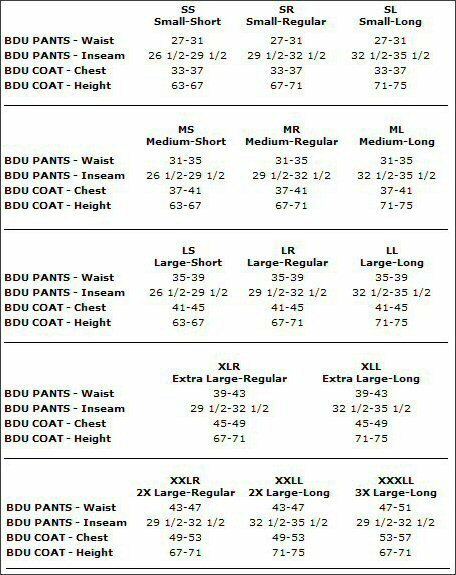 On the BDU Jacket the length on the small is 29″ from the bottom of the collar down, 32″ on the Regular and 35″ on the Long. The sizing was right. Well built. So far my only gripe is the basic loss of pockets due to stitching decisions which stitched right through several pockets making them worthless. There is so much fir that a little rearrangement seems possible. If I need to carry a pack, it kind of defeats the purpose. Or if I need to remove the jacket to get to a water bottle, or whatever. With a gillie you have to live out of your pockets. The more the better and the less motion the better. Great Suit !!!!!! 10/10. .. Thanks!! 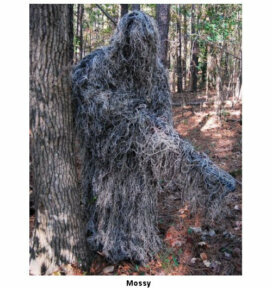 … Are there any tricks to getting the ghillie wrap on the rifle / securing it ? Love the suit! Well crafted and ready for use. Hello from Spain!. 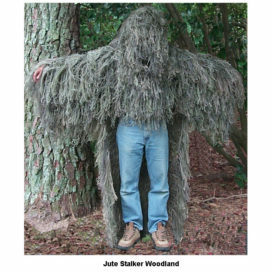 I just received your product… And extraordinary quality, density of camouflage etc… I’m going to look like a plant. Am very happy with your service. Thank you from a satisfied customer. 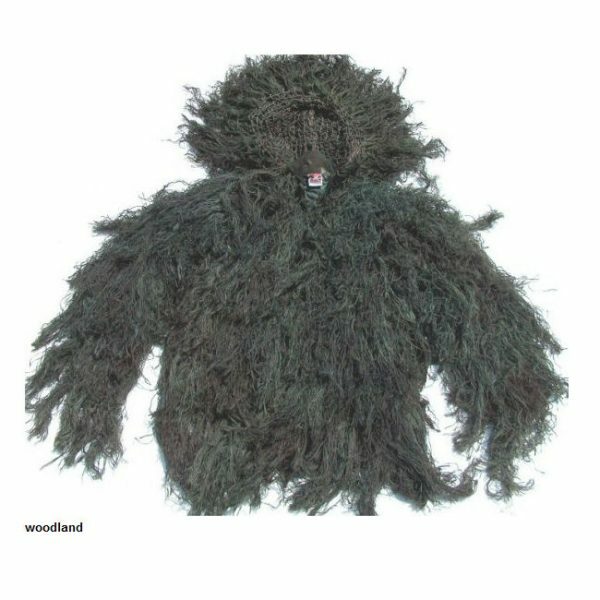 This is my third Ghillie and is the best by far.I have ghillies in three colors now and I’ve found the Desert to be an excellent camo, I’ve had squirrels crawl over me while turkey hunting, I’m starting to thinkI can hide from anything. 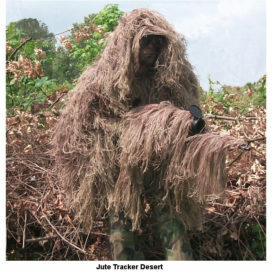 I just purchased the BDU desert ghillie and I couldn’t be happier. As stated in the other reviews the smell is pretty strong but nothing a little scent away did t fix. The ghillie is very well made. You don’t have to worry about it ripping or tearing. It will keep ya warm. You dont need as much insulation on those cold morning hunts. 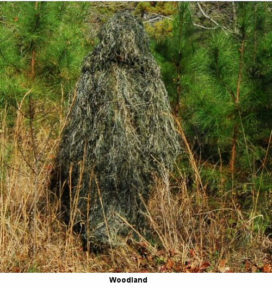 I would advise anyone looking for a high quality ghillie suit to buy this set up. This suit is great. To deal with the smell i soaked it in the tub for 3 days with baking soda (3 boxes). Quite messy. The jute is now tangled and needs to be pulled apart but this suit is great other than chem smell. The fire retardant is a must so …hopefully i can get it deer season spec. This Suit is super nice, as with all things though there is a down side,The smell.I guess they have to cover there self by spraying with fire retardant, Which kinda gives off a mildew type odor.I’m going to hang mine outside a hopefullly the smell will fade in time,Regardless its worth it,I Love this Suit. I received the BDU Ghillie suit and I am pleased. 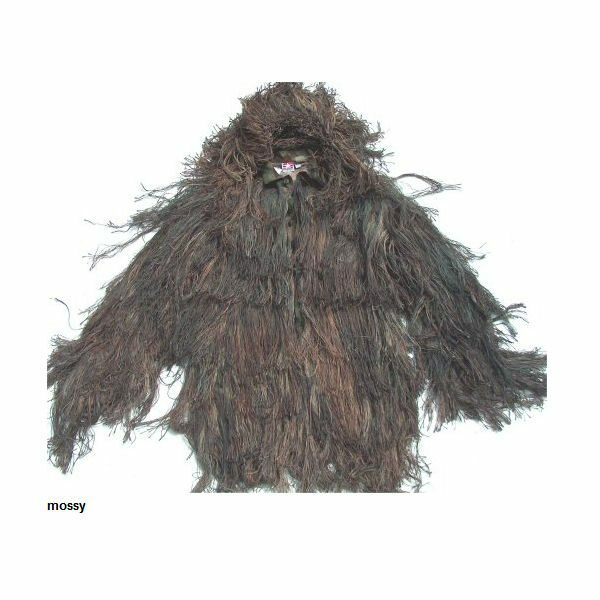 The suit is a quality built suit and the purchase and shipping were a pleasant experience. The only suggestion I can think of would be to use a less aromatic thread than jute. 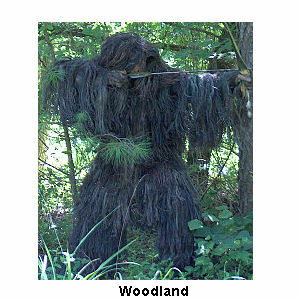 I purchased the suit primarily for coyotes and the suit does have a definite odor that I will try to air out and mask.NOTE: The smell is the fire retardant which must be applied to jute suits. Ultralight suits are an alternative.